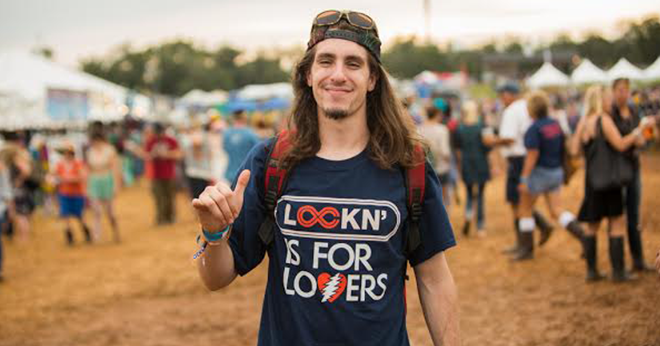 It’s a LOCKN’ thing… you wouldn’t understand. 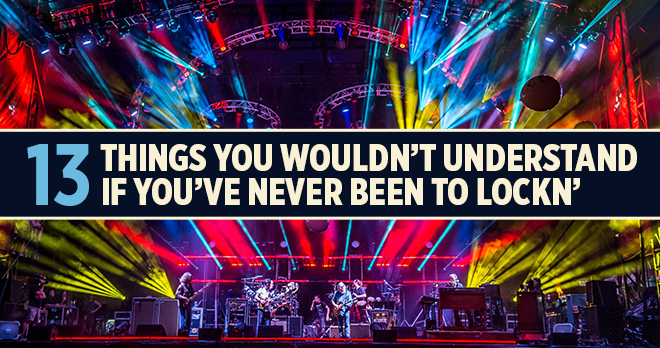 Late nights at Garcia’s, early mornings at the Blue Ridge Bowl, taking in the incredible sunsets, power naps in the Lotus Lounge, and tacos that save your life are just a few things that people who’ve never been to LOCKN’ wouldn’t understand. 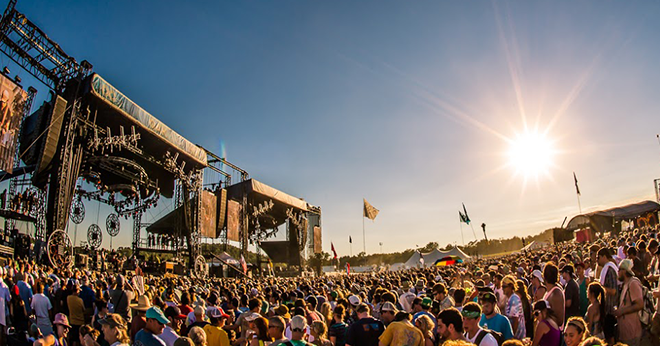 There’s a reason LOCKN’ is called LOCKN’. At most festivals, planning each day is as crucial as bringing baby wipes. At LOCKN’, you can leave the planning to us. With two main side-to-side stages, only LOCKN’ ‘Lumni know what it’s like to never have to compromise. 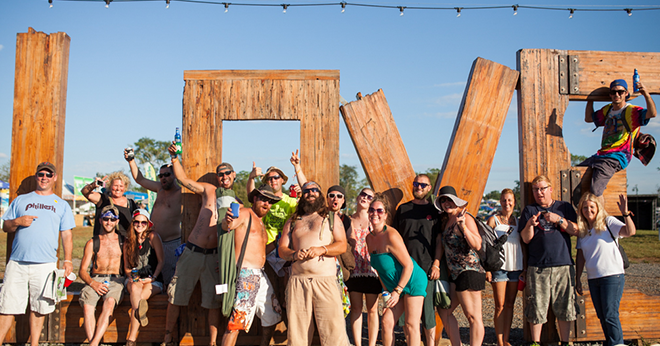 It’s pretty much a rite of passage for all LOCKN’ ‘Lumni to take a photo at the LOVE sign. Considering it’s a popular photo-op spot, you’ll sometimes have to wait your turn for the right moment. 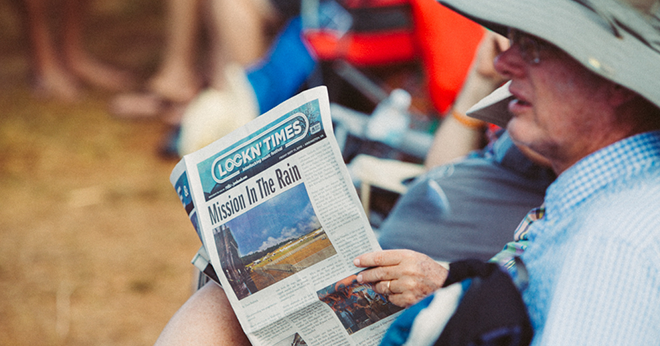 Available each day, and brought to you by Relix Magazine, the LOCKN’ Times is the only place to get a full recap of what happened the night before, in case you already forgot. The map of the grounds and daily schedule is also vital to your overall festival success. 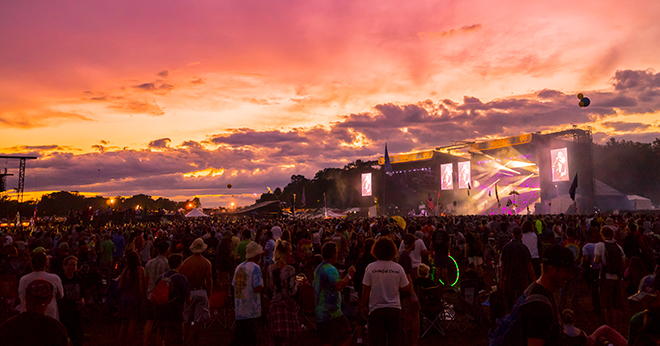 When the sky is tie-dyed, and the final rays of sun paint the world in brilliant hues, it’s then that we pause to reflect on the beauty of our LOCKN’ community. Who says you can’t eat like a king at a music festival? With the “Local Tent”, LOCKN’ ‘Lumni know what it’s like to fuel up before getting funky with Lettuce with some local offerings like wood-fired pizza from Charlottesville’s Blue Ridge Pizza Co. On top of the “Local Tent,” countless incredible food trucks and food stands make sure that having an empty stomach at LOCKN’ is just not an option. 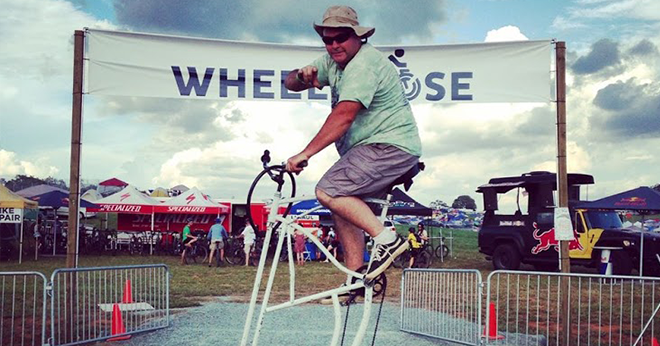 You don’t need a bike to enjoy LOCKN’, but it certainly helps get from point A to point B. Not only does bringing a bike help save your feet, but LOCKN’ offers miles of beautiful trails to explore. Visiting the Wheelhouse at LOCKN’ is the best place to borrow a bike, go on a guided ride, or join fearless riders to blaze trails and new terrain. 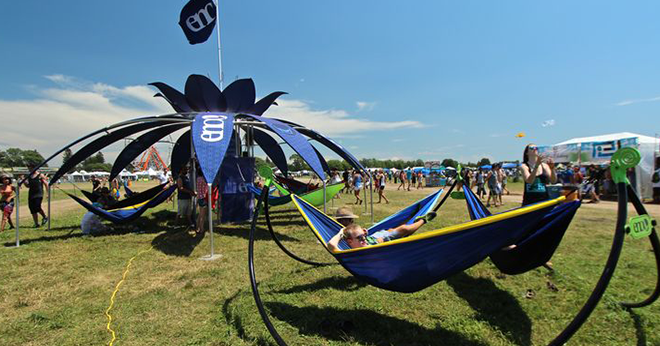 There’s nothing like relaxing in an ENO hammock with a cold drink in hand and a view of the beautiful LOCKN’ grounds. You never know who you’ll meet in the next hammock over, and you’re guaranteed to get some much needed rest before you head back to the stage. The slogan Virginia is for Lovers might be one of the most identifiable in all 50 states. Although you’ve heard the statement before, there’s no way you’ll understand the true meaning until you’ve been there. 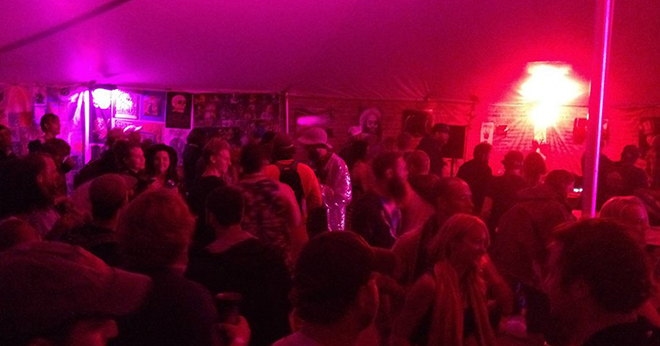 Only LOCKN’ ‘Lumni know what it’s like to experience a Garcia’s dance party, and any deadicated rager would agree that the only place to go at the end of the night is Garcia’s. The music of Jerry plays loud and clear, and you never know what madness will unfold. This year, we’re in for a new experience as Garcia’s moves to the forest. What’s the forest like? Check out #13. 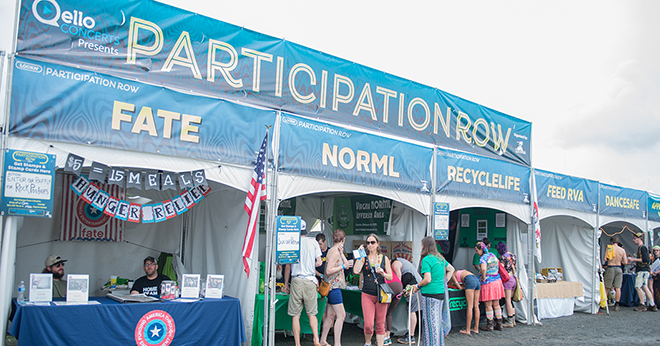 Participation Row brought to you by Qello Concerts is all about having a fun and interactive experience while taking socially-conscious actions. Only LOCKN’ ‘Lumni know the beautiful feeling of giving back to charities (such as Headcount) and local organizations with a community of like-minded individuals. It feels good to do good at LOCKN’! The big beautiful majestic oak tree at LOCKN’ is where LOCKN’s “Oak Ridge Farm” got its name. 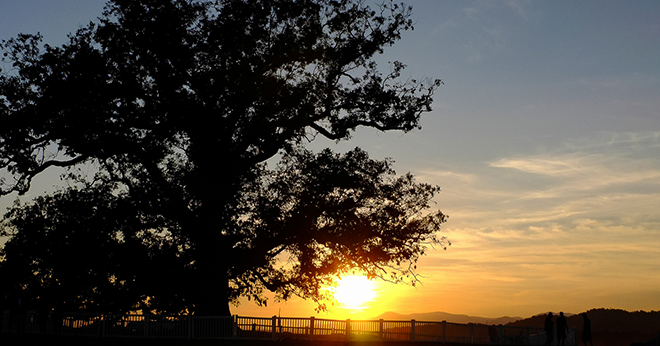 A symbol of festival, the regal white oak tree is approximately 400 years old and undeniably colossal. The sacred power of the LOCKN’ tree must be experienced to truly understand its effects. 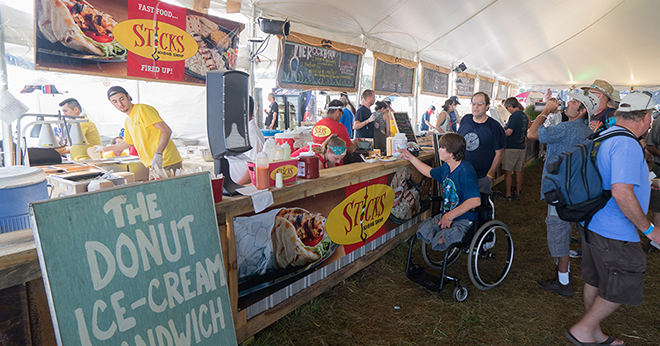 Sweet golden deliciousness at LOCKN’ is easy to come by in the beer village, yes you heard right, beer village. 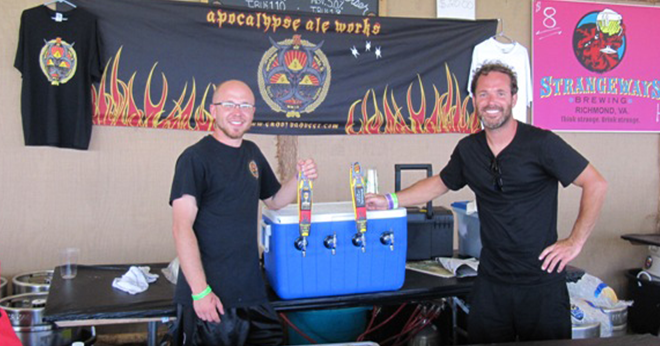 LOCKN’ ‘Lumni know that over 20 different beer breweries including local favorites like Virginia’s Apocalypse are ripe for the taking. “I took a walk in the woods and came out taller than the trees.” -Henry David Thoreau. 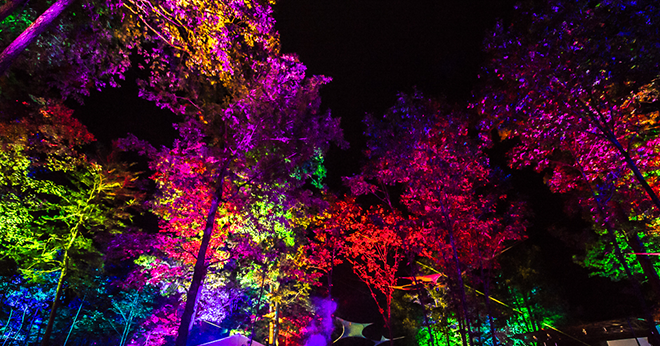 The total sonic and visual transformation of the Woods at LOCKN’ is something you have to see to believe. You will be left with no words, but the memories will last a lifetime.